Impact of cryptocurrency on various economic and social processes in modern world is becoming more significant day by day. There is an increasing number of issues affecting various aspects of a phenomenon under consideration on the agenda of entire international community and individual states. So, there is no single opinion on legal nature of cryptocurrency. 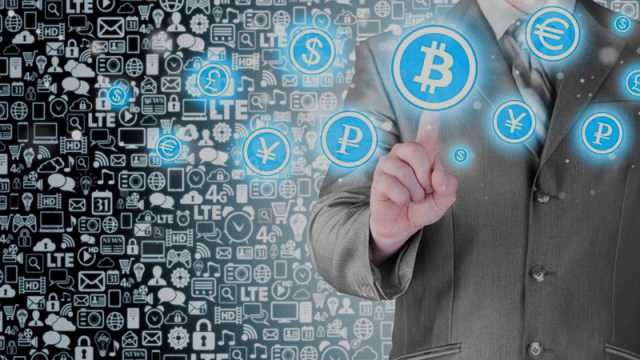 In this connection, various jurisdictions consider digital currency to be either a means of payment or a means of exchange. It should be noted that a question of legal nature of tokens is also not formally determined. In particular, they are often considered as an offering or a donation, causing, in turn, a significant number of disputes at national and international levels. Lack of formal certainty in the sphere of general legal status of cryptocurrency entails emergence of a broad discussion on more specific issues related to a need for licensing of activities of cryptocurrency exchanges, taxation in this sphere, etc. At the same time, it is obvious today that activity in the field of cryptocurrency operations is only gaining momentum. As it was mentioned, the issue concerning legal nature of digital currency and transactions relating to it is considered differently in each state. Nowadays, there is one country where cryptocurrencies are totally allowed as a means of payment. It is Japan. But it worth noting that tax system of this state can be designated as "tough enough" (you can learn more on the website of the regulator - FSA), and work with non-residents is complicated by a number of barriers, such as: language, legal barriers, and economic ones. The latter are especially important, because income level of the population of Japan is considerably high. Currently (from April to October), so-called Japanese Council for Audit Standards develops a "Code of Conditions for the Circulation of Cryptocurrency", and it will be a document that formalizes the rules for circulation of cryptocurrency, including its mining. Today, the Bank of Yokohama, SBI Sumishin Net Ban and dozens of other organizations (excluding small sellers) work with blockchain projects. In addition, there are guidelines of the Ministry of Economy, Trade and Industry of Japan (METI) on assessment of various blockchain projects. You can read the manual here. According to it, you can assess feasibility of implementing your blockchain project. On the other hand, regulation differs from country to country (and that is why a separate jurisdiction selection service is described above). In particular, digital currency is considered in three different aspects: as an analogue of cash funds, property and exchange commodities. In this sense, the Statement of the US Securities and Exchange Commission is also of considerable interest, because the SEC stated that initial coin offering may in long term also become a subject of its legal regulation at the end of July 2017. Such changes will allow cryptocurrency to become a recognized alternative to investment. In addition, according to plans of the Office of the Comptroller of the Currency, financial and technical companies involved in fiduciary activities or performing one of the three key functions of banks (granting loans, paying checks or accepting deposits) will be able to obtain state (federal) banking licenses for limited purposes in the future. Growing popularity of cryptocurrency has predetermined development of new mechanisms for its use. Such mechanisms, in particular, include ICO (initial coin offering). As one of the models of crowdfunding with the use of blockchain infrastructure, ICO allows to invest funds in digital currency in order to gain profit in the future. In this case, profit can be obtained, for example, by selling of obtained tokens on a special exchange. At the same time, there are a significant number of risks in ICO sphere today. In particular, they include not only possible recognition of ICO as a mechanism for sale of securities with corresponding liability, but also lack of legal protection, specifics of cross-border jurisdiction, fraudulent schemes, legislation on combating money laundering obtained by criminal means, etc. Internal Revenue Service of the USA (IRS): cryptocurrency is a "digital representation of value that functions as a means of exchange, a unit of accounting, and/or storage of cost(s) does not have a legal status (in any) of any jurisdiction." IRS also indicates that bitcoin transaction is a barter. In 2013, the American Financial Crimes Enforcement Network (FinCEN) published a manual stating that exchanges of digital "money" and activity of administrators regarding turnover of virtual "currencies" fall under the regulation of the Bank Secrecy Act (BSA) and therefore - such persons must register as a Money Serving Business (MSB). In addition, based on the analysis of the case "Nevada v. Micon", any licensed activity should be such, even if it is carried out through (with the help of) cryptocurrency. Separately, it is possible to look through the report on virtual currencies of the State of California. At the same time, the SEC has already refused to register the fund Winklevoss Bitcoin Trust (memorandum of a meeting and an application itself). In addition, the US Commodity Futures Trading Commission officially recognized Bitcoins as exchange commodity. Moreover: when entering the US, Bitcoins (cryptocurrencies) must be declared: 10 000 USD and more, but the USA is considering a possibility of creating special visas for bitcoin investors. At the same time, mining in the USA is allowed: in particular, this follows from the US Securities and Exchange Commission’s Decision No. 23852 of 06/05/2017. However, it is more important for the SEC that rights of investors (co-owners) should not be violated when mining. Bitcoins extracted as a result of mining are considered to be a taxable base. Tax on difference in value can also be taken into account at the time of "creation" of btc and at the time of sale. At the same time, the SEC (only the archival version is available) stated that if mining is a private matter (that is, it is not led by an entrepreneur, but an individual), then taxation is not applied in this case, the only thing is to operate taking into account legislation "on counteracting legalization ...". According to the opinion of the U.S. Government Accountability Office: tax is not paid when btc is exchanged for other digital goods (for example, game money or other cryptocurrency). For comparison: since 2013 Germany is the leader in official number of bitcoin users and has own attitude to taxes. Germany also adheres to the position of the European Court that exchange of bitcoins for fiat money is exempt from VAT. At the same time, proceeding from the analysis of the documents of the Ministry of Finance for 2014 - commercial activities for sale of btc and other digital currencies should be taxed. According to legal definition: "legally, the purchase and sale of bitcoin is a private sale transaction under Section 23 paragraph 1 sentence 2 of the Income Tax Act, which (according to section 2, paragraph 1, sentence 1, No. 7 Income Tax Act) is classed as income tax", meaning that tax is initially provided only for a small time difference in accounting. That is, bitcoin as an investment is not taxed in Germany. http://www.steuerliches-info-center.de/DE/SteuerrechtFuerInvestoren/Person_Inland/Einkommensteuer/Steuertarif/steuertarif_node.html - determines rate from 14% to 45%. http://www.gevestor.de/details/steuersatz-in-deutschland-ein-komplexes-zusammenspiel-646731.html - another example of calculation. 3. Maximum non-taxable amount is 8.652 Euros. There is another country with very specific designation, also known as an offshore: Cyprus. For the first time, legal status of Bitcoin and Altkoin was stipulated by the Central Bank in the statement of 2014: essence of this statement involves the fact that legal status of Bitcoin and other digital currencies in Cyprus is ambiguous. In this case, virtual currencies are not recognized by the Central Bank of Cyprus as a payment instrument. In addition, in 2013, the Central Bank of Cyprus statedthat "(the regulator) considers use of any kind of virtual money particularly dangerous, given that it is not under any (special, state) system of control, and its activities are not controlled (including in Cyprus - in a special way ). Main aspect here is that the Central Bank of Cyprus stated the following: "bitcoin is not illegal, but, at the same time, neither it is subject to control or regulation". Thus, work with cryptoassets in this country is conducted according to the rules of general civil law. Also, activities were identified during examination of this country for receiving payments from a number of educational institutions, in particular: the University of Nicosia, which confirms legal status of cryptocurrencyin the country. According to data of local lawyers (and also on the basis of interpretation of existing tax legislation), we come to a conclusion that profit from trade in cryptocurrency is not taxed (rate - 0%), because "The Cyprus Tax on profits from trading is shares or other securities, including forex or bitcoins is 0%". On the other hand, the Central Bank of Cyprus has repeatedly indicated in its statements about virtual currencies that activities that need to be licensed should be strictly conducted in accordance with the law. At the moment, licensing for mining and crypto-trading (and for ICO) is not provided, so this aspect is referred to as a possible risk of introducing licensing in this area (this approach is considered at the level of European Union, and Cyprus is addressing primarily to its practice). In Eastern Europe, for example, it is possible to outline the Czech Republic, where "legal guidance" for purchase and sale of Bitcoin was issued, and in February 2017, the law "On Deanonymization of Bitcoin" was adopted: that is, financial institutions are required to identify (development according to the EU “Action plan” and common plan to combat terrorism) customers, and the latter are forbidden to use fictitious names. 1. Application of VAT to transactions with cryptocurrencies (“vláda plánuje přidat do zákona o DPH paragraf, podle něhož odběratel zboží či služeb ručí za daň neodvedenou dodavatelem v případě, že za ně zaplatil virtuální měnou”). 2. Special registration procedure for bitcoin users ("transactions worth more than 1.000 EUR are considered" AML high-risk "in accordance with § 6 para. of Act No. 253/2008 Code"). There is another country from the East. It is Israel. In early 2017, the Tax Service of Israel issued a special circular dedicated to cryptocurrency. It is quite simple to find original text. According to the position of the (Central) Bank of Israel, cryptocurrency is not a foreign currency, but an asset, sale of which is taxed (tax on sale of property), so, in this case, there is income tax. In addition, the Bank stressed that there is so-called capital gain in this case. Thus, if a transaction is of a business nature (that is, it is committed within the framework of a business project), difference in exchange rate of virtual currency will also be taxed as income from entrepreneurial activity. Transactions with Bitcoin are qualified as a barter: original of the document on tax for Bitcoin is available at: https://taxes.gov.il/incometax/documents/hozrim/hoz_x_2017_tyota.pdf. Earlier, Singapore was one of the most popular jurisdictions for establishment of a company related to blockchain and cryptocurrency (nevertheless, this situation may change due to the last position of the securities regulator). In particular. "The Inland Revenue Authority of Singapore (IRAS) sent a letter to a brokerage organization Coin Republic, which explained the process of taxing a turnover of bitcoins. According to representatives of the IRAS, companies involved in purchase and sale of bitcoins will be subject to standard income tax. Long-term investment in bitcoins will be considered an investment in capital, and there will be no taxation." The following quotation is even more important one, namely: "Whether or not business community will accept bitcoins as a means of payment for their goods or services is exclusively their commercial business. The authority of Singapore will not interfere with the foregoing in any way". Singapore is the country of millionaires, country of stability, as well as due and proper order, country of technologies. Therefore, many projects are held within this country. In addition, banking system is well developed there. Only thing to remember is as follows: "as of July 2016, there are over 730 cryptocurrencies", so unifying their status is difficult, especially considering currencies to serve only as a means of replenishment with ICO as such, and tokens are already a meta-instrument, that is a derivative. The most important is a token of your own reputation. Unfortunately, nowadays organizers of the first successful ICOs travel around the world, buy expensive things, thus, absolutely repeat the path of crises of the past years, that is, they violate and harm the very essence of creation and operation of cryptocurrencies and assets. The foregoing is very difficult to cope with, especially given the fact that factor of success means money for majority, and they can easily earn a lot of money due to and using ICO. But such funds still do not belong to creators to the fullest extent, even being a percentage to distribution among team members. Why? Because, as lawyers state, above funds have a targeted use that is a project. And when such project is ready - meaningless purchases are not so important, but at the stage of launching, testing and initial breaking-in - issue of particular importance is that today we are building something that will break us in a year or three. In 2017, China prohibited withdrawal of btc&ltc from the largest exchanges. Thus, the regulator can strictly prohibit withdrawal, exchange, purchase of tokens. And "... adviser of the People’s Bank of China (PBoC) stated that regulatory authorities should set standards on disclosed data that relate to initial offerings of coins". In 2016, the European Commission stated that "prevention of risks of terrorism financing associated with virtual currencies: for preventing misuse of virtual currencies for the purpose of money laundering and terrorism financing, the Commission proposes to require cryptocurrency exchanges and wallets services to comply with the requirements of anti-money laundering directive. These organizations will be required to apply measures to closely monitor customers when exchanging virtual currencies for real money in order to put an end to anonymity associated with such exchange transactions". Selection of a jurisdiction should always be aimed for further perspective, that is, it is necessary to assess not only legal, but also political, economic, social aspects. Example of Iceland after the crisis of 2008 was already cited: it is sensitive to any financial half-formed intentions, digital currencies and tokens. But there are also countries in Africa. However, there are more positive examples.